Lock in a great price for Casa Gracia – rated 8.4 by recent guests! Highly recommend!! Amazing location and neighborhood, beautiful interior and very helpful staff! The place itself is beautiful. Big spaces in rooms, bathroom super clean and bed really coffy. Delicious breakfast and they even have a refrigerator where you can storage your goodies. The staff was super friendly from the reception, bar, kitchen. Very happy to stayed in. I loved my stay at Casa Gracia. Lovely lobby and common areas. The staff was very helpful and kind, especially Jose the bartender and Irina at the desk. The location next to Diagonal metro was central to everything. The neighborhood felt very safe and walkable. Super friendly staff, the location is perfect and the facilities are nice. To many problems. Not enough pillows provided, even we requested. No enough toilet paper, even requested. Wifi horrible. Air conditioning doesn’t work and room temperature was extremely high. Made complaint and never took care of it. Room was unclean. We have to clean it twice. Breakfast was horrible for the value and variety of menu was not good. Bad service and unclean. Definitely not a place to recommend. Only a front counter person named Mr. David who was extremely helpful and friendly. Nice spacious rooms. Ok breakfast. Fresh towels everyday! Perfect location, close to train station and lots of shops/restaurants. Friendly staff, we really appreciate the luggage storage too! Clean and stylish rooms and shared spaces - the kitchen, living spaces, and terrace were amazing. The coffee machine was a great bonus. Location was amazing - outside of the tourist centres but still within walking distance. The hostel has a decent restaurant downstairs which is frequented by locals, and a fun bar in the basement. 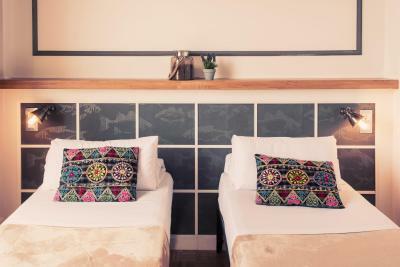 Rooms were newly renovated and clean. Staff were professional and fairly welcoming. The property has a great location. Staff was helpful and friendly. 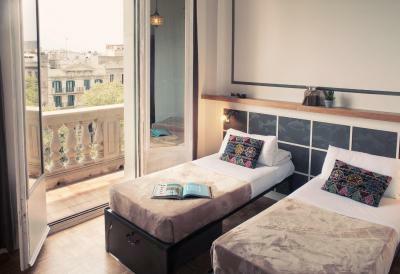 Casa Gràcia is a modern hostel at the top of Barcelona’s Passeig de Gràcia, 950 feet from Gaudí’s La Pedrera. It offers air-conditioned rooms and free Wi-Fi in all areas. 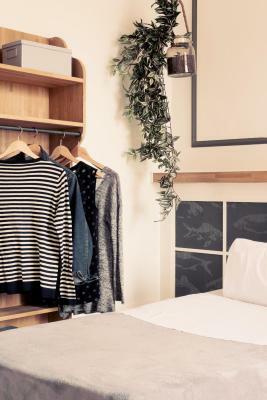 Shared and private rooms are available, as well as apartments. 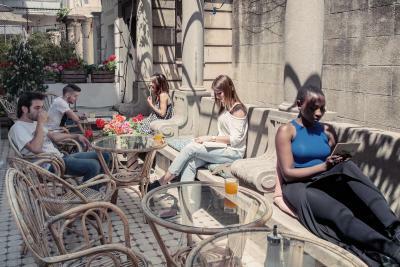 Facilities at Casa Gràcia include a communal terrace, lounge, kitchen, dining area and a 24-hour front desk. There are also computers for guests' use. The hostel arranges group events every evening, as well as daily walking tours of the city. 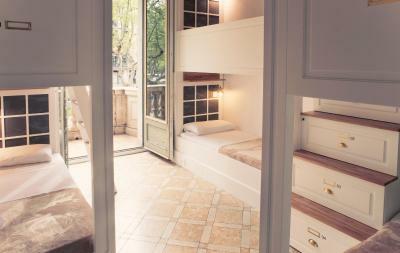 Casa Gràcia is just feet from Avinguda Diagonal and within 950 feet of Diagonal Metro Station, which offers access to the Sagrada Familia. 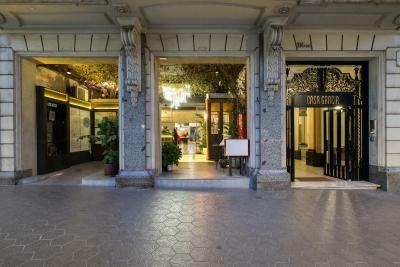 Passeig de Gràcia is full of exclusive shops, restaurants and bars. Gaudí’s Casa Batlló is within a 10-minute walk, as well as the popular Gràcia neighborhood. There are a number of beautiful Modernist buildings in the area. 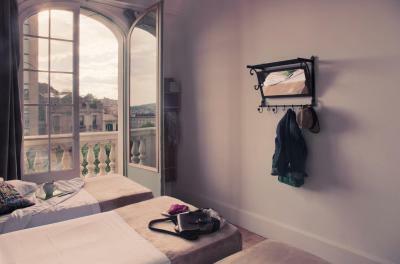 When would you like to stay at Casa Gracia? 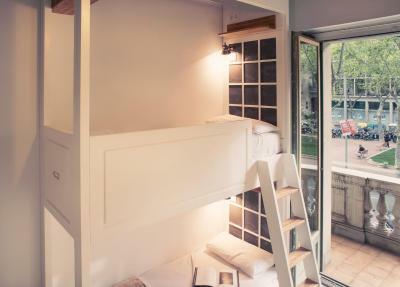 This air-conditioned dormitory has free WiFi and a shared bathroom. Lockers are also available. Please note that children under 18 years old are not allowed in dormitory rooms. This large room has 4 single beds, free Wi-Fi and air conditioning. This large room has 5 single beds, free Wi-Fi and air conditioning. 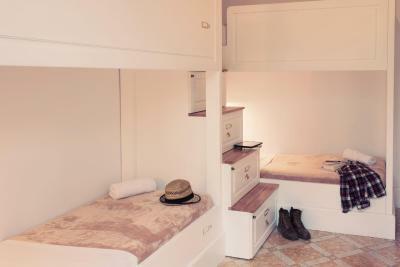 This large air-conditioned room has free Wi-Fi and a private bathroom. 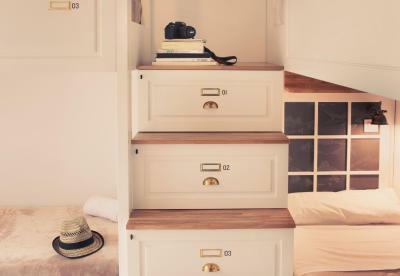 This air-conditioned suite comes with a double bed and a private bathroom. 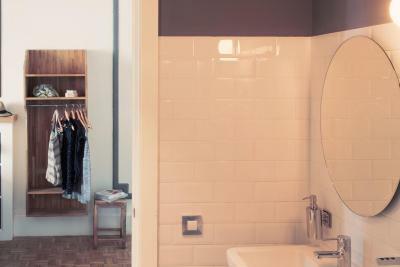 This suite offers a welcome pack including bathrobes and slippers. It also includes daily cleaning. This room has free WiFi and air conditioning. 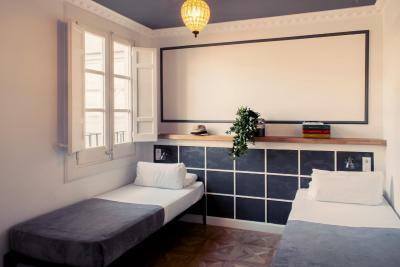 Overlooking the gardens of Passeig de Gracia, this large double room has 1 double bed and a bathroom. Free WiFi is available. Offering a terrace with city views, this modern apartment has one twin bedroom, a living room with a twin sofa bed, a kitchen, free Wi-Fi, a TV and air conditioning. Guests have access to Casa Gracia's services, spacious common areas and a daily cleaning service. This modern apartment has one twin bedroom, a living room with a twin sofa bed, a kitchen, free Wi-Fi, a TV and air conditioning. 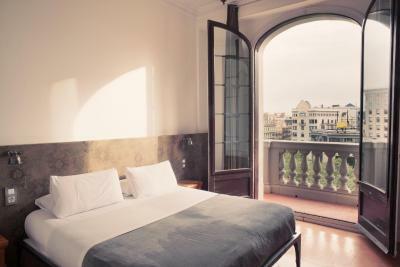 Some of the apartments have a balcony with views of the famous Paseo de Gracia Avenue. This modern apartment has a twin room, a living room with a twin sofa bed and a kitchen, free WiFi, a TV and air conditioning. Some apartments have with views over Paseo de Gracia Avenue. This apartment features a flat-screen TV, seating area and electric kettle. House Rules Casa Gracia takes special requests – add in the next step! Casa Gracia accepts these cards and reserves the right to temporarily hold an amount prior to arrival. 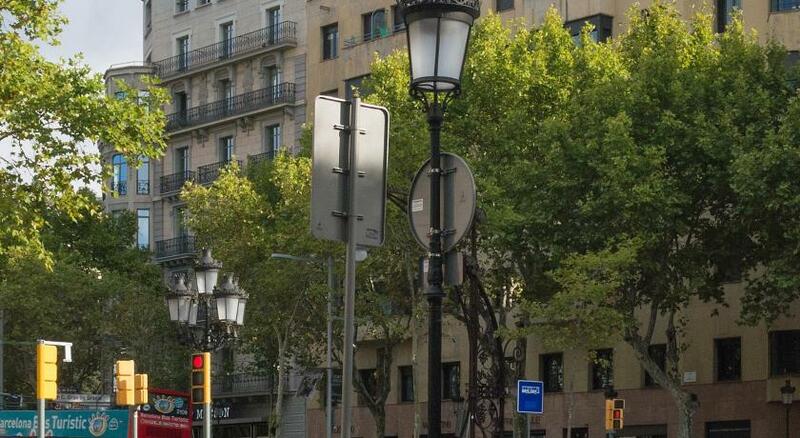 Please note that the apartments are in the building next door to the office: Passeig de Gràcia, 116. Guests may pick up their keys in the office. Please note that the parking is on Carrer Bonavista, 15. Please inform Casa Gracia of your expected arrival time in advance. You can use the Special Requests box when booking, or contact the property directly using the contact details in your confirmation. I loved the chill out area and the location, a large selection at breakfast more than other hostels and it was a great kitchen to cook in and the staff were extremely helpful. There have some events on weekend. When we use kitchen then many people looked at us who are not stay at hostel. A little bit uncomfortable point. And sometimes elevator didn’t work. We stayed 6 floors for 4 nights so many times used stairs. Looks nice decorated and good location. Temperature control was an issue, white foam coming out of vent, no soap. Our room could have been cleaner. There was a lot of dust under the beds. Beware the hotel does not allow individual temperatures in the room. Even though we were hot, we could not use the air-conditioning because the hotel was still on "winter" and therefore the rooms and common areas were heated. We had to sleep with windows wide open for comfort and then the noise was an issue. Hard to pick fault. The breakfast has a decent enough selection, although it did run out of a few items towards the end of the service. The shared-use computer has seen better days, and was excruciatingly slow when trying to download a few boarding passes. 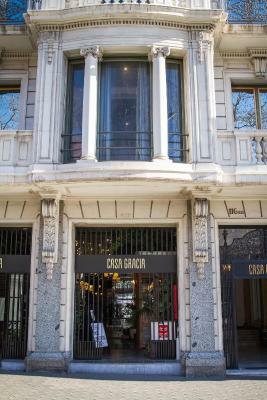 Casa Gracia is a great find in Barcelona. A stunning building, great location, good facilities (great for a hostel) and the staff are all so helpful & friendly. Separate mattresses for a double bed, they didn't tell us breakfast would end earlier on Saturday. Some of the rooms need more decoration/update/natural light. More vegan/vegetarian options for breakfast would be nice. We had a great time at Casa Gracia; staff is professional and friendly, they managed all of our requests with a smile. The ambience, the design and the building itself is amazing, location cannot be better. Regarding the rooms, the first one we got was very basic, but we upgraded and finally stayed in a pretty nice room. Breakfast is good, but there are not too many options for vegans/vegetarians and also there are a lot of other opportunities in the nearby streets. Great location, this beautiful hotel is in the middle of all great attractions and the area itself is lovely and has an authentic vibe. The staff team is lovely, friendly and very helpful. We had a problem with our a/c and they responded straight away. If you need some tips for attractions and restaurants just ask the staff, they will be happy to share. Very impressed with our stay! We are definitely going back!! 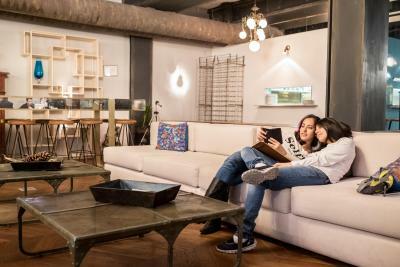 The place is steeped in history mixed with a modern twist. 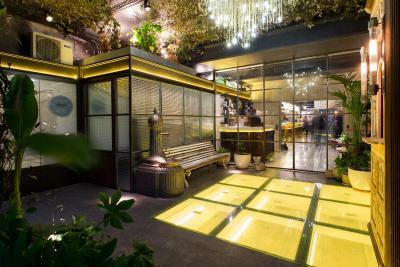 The decor is stunning and the staff, bar, food, rooms, restaurant and location are all excellent. 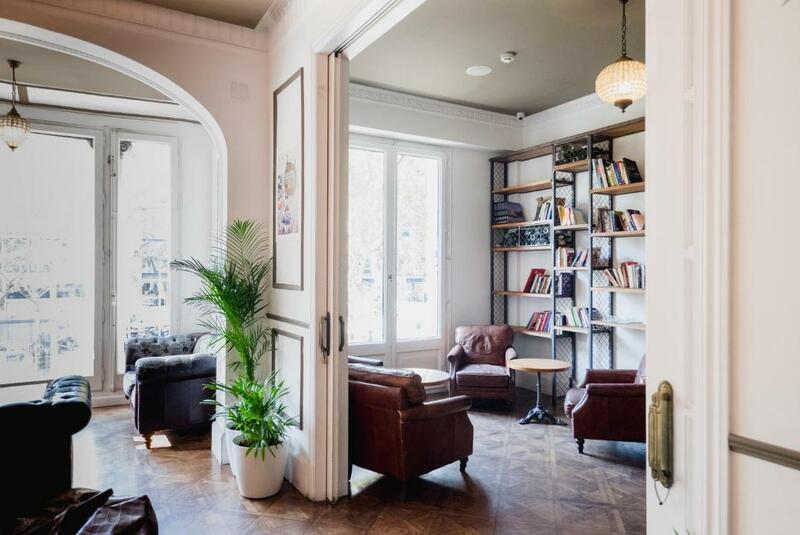 You haven La Rambla, amazing restaurants, cafes, bars and Gaudi all on your doorstep. I’ve stayed here twice already and wouldn’t stay anywhere else in Barcelona. It’s perfect couples, solo travelers and groups of friends. It really does cover all age groups. For the price you won’t find anything better.